Rated 5 out of 5 by ABMin from Big Fish Casino Game I love this game. 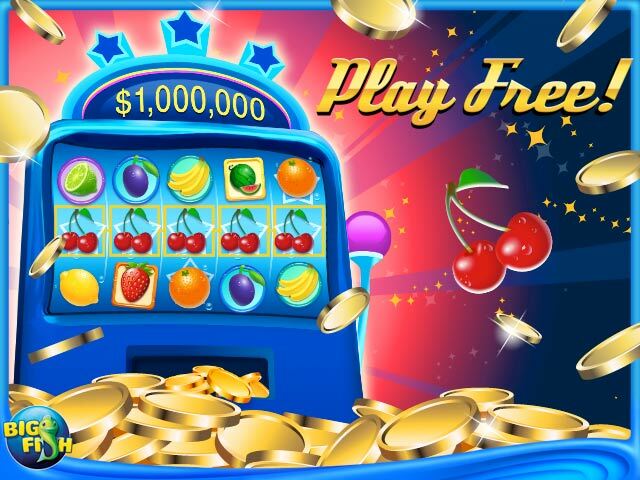 I spend my free times with big fish casino game. this is the best game for me. Rated 5 out of 5 by Hendrix1001 from Good Fun! Awesome Games! Can't put them away!!! Rated 5 out of 5 by Pz3J from Nice Blackjack and Interesting Slots I mostly only play blackjack on Big Fish Casino and it's always fun, although requiring skill and good judgement to accrue any good amount of chips. The slots have excellent payouts and cool themes, like Dog Town. This is always a good game to fall back on when I can't find friends to play Blackjack in real life. Rated 5 out of 5 by pennmom36 from I'm Heading For The Casino And I Don't Have To Leave My Computer Chair! I have downloaded and deleted Big Fish Casino several times, thinking I'd give it a whirl, then delete it because it didn't seem interesting enough to open up. Today however, I did indeed open up the app, and TAH DAH! I had a blast, who knew? My favorite hands down was the Slot Machines which has a slot for just about every genre imaginable, and I quickly became hooked on the Haunted House slot machine. There are all kinds of venues, Word Ace, Blackjack, Hold 'Em, and even Roulette, and as you progress, more are unlocked in each category. 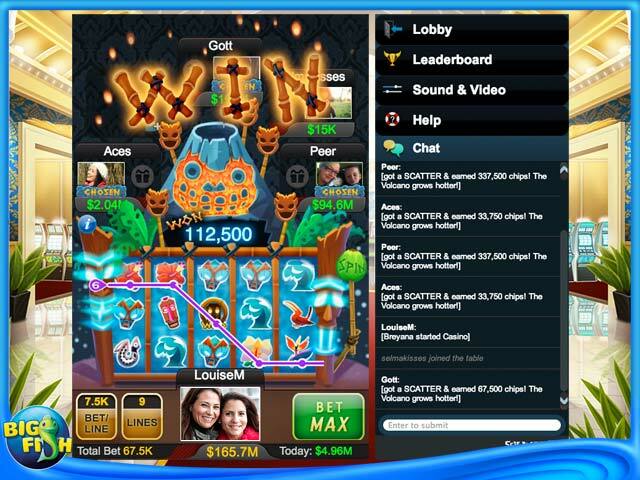 The more you play, the more benefits become available as you level up, larger payouts, larger max bets, and larger rewards. If you are patient, you won't ever have to spend real money because you receive daily chips and spins and promotions. If you're not in the mood to wait, you can go to the in app store to purchase more chips, gold or other available offers for a fairly minimal amount of the real moula, enjoy! 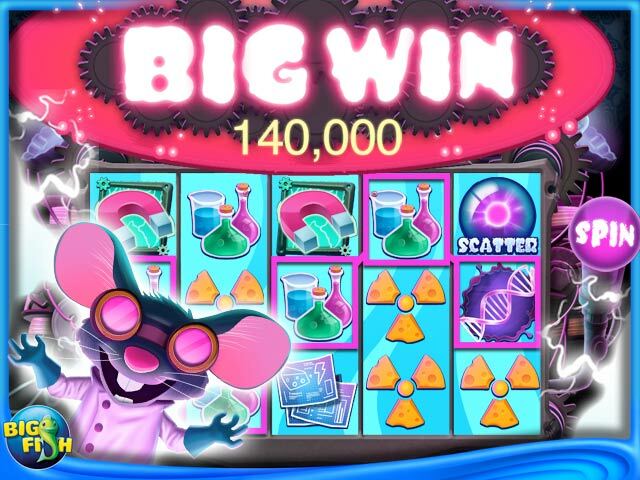 Rated 5 out of 5 by Sarahcarrollkb92 from Amazing I love Big fish Casino. Great graphics and great give aways. Rated 5 out of 5 by VinnyMc48 from Positively Addicting It doesnt matter what you play.. roullette, blackjack, hold em and even the slots are entertaining for hours. Make sure you remember to get it together or you will go broke !!!! Rated 5 out of 5 by SugarShack60 from Big Fish Casino Simply love Big Fish Casino!!! Rated 5 out of 5 by BlackwoodCompany from Incredible and Perhaps One of the Best Apps of All Time This has to be one of the top games of all time indeed. Great slots Incredible game of Word Ace which is a game to have. Plus it has good features of the casino. I would download it for sure and play it. Rated 5 out of 5 by phatmomma2001 from Fun game still has some kinks I enjoy playing this game often. Sometimes there are still connection problems but overall it is a good time and ther are several differnt games that i really enjoy. Some of the people in the rooms however are just plain rude. So do like you momma taught you and if you don't have anything nice to say.........................Don't say anything at all. Rated 5 out of 5 by geanie20 from Big Fish Casino Yes I love playing casino very engaging and fun. Rated 5 out of 5 by Nilahah from love it love it so much fun can play all day long. Rated 5 out of 5 by Meechalia from I Love Big Fish Casino I love this game, so much. I am SOOO sad because I got a new windows phone, and I haven't figured out a way to download Big Fish Casino, yet. This game is soothing, intriguing. I just love zoning out with this game. Rated 5 out of 5 by gabbie1701 from Love it! This game looks so real when you are playing. 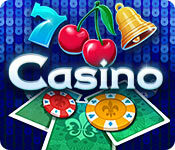 They give you everyday free chips, free gold, free spins and much more. If you are a social person you will really enjoy it b/c it allows you to make friends and communicate via text while playing the game. I have been laid off work for the past 5 months and this game has really helped me to release stress after I have applied for jobs.